They say | Because, Science! “processed meat is bad“, but where is the data? Remember, you cannot trust your own lying eyes. Granted there are better tests for early detection, and treatments have gotten better. This entry was posted in Environmental Stupidity, Food Nazis and tagged doomsday, Thugs by Keith. Bookmark the permalink. 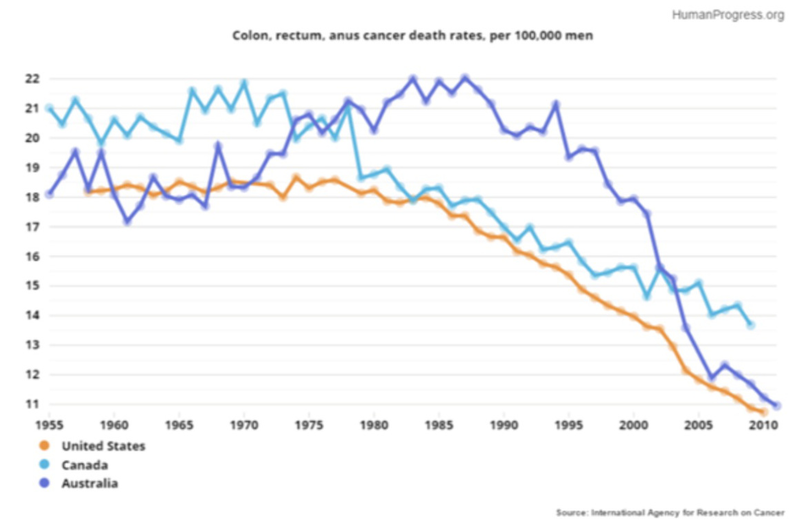 Interesting, but may also reflect better survival rate. I imagine you can better survive today than in the past with such affliction, but your quality of life must take a hit.